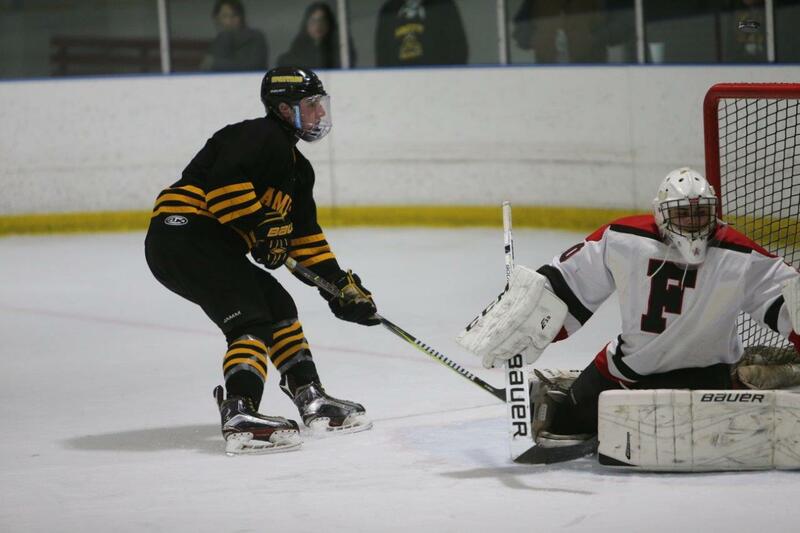 Boys Hockey: Amity Wins Last Regular Season Game – Now On To The SCC Tourney! 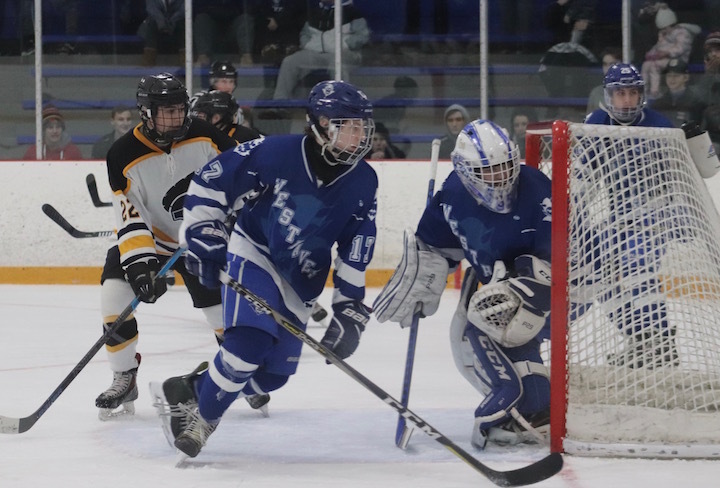 Amity High School, Around Town, Latest News, School News, Sports Comments Off on Boys Hockey: Amity Wins Last Regular Season Game – Now On To The SCC Tourney! 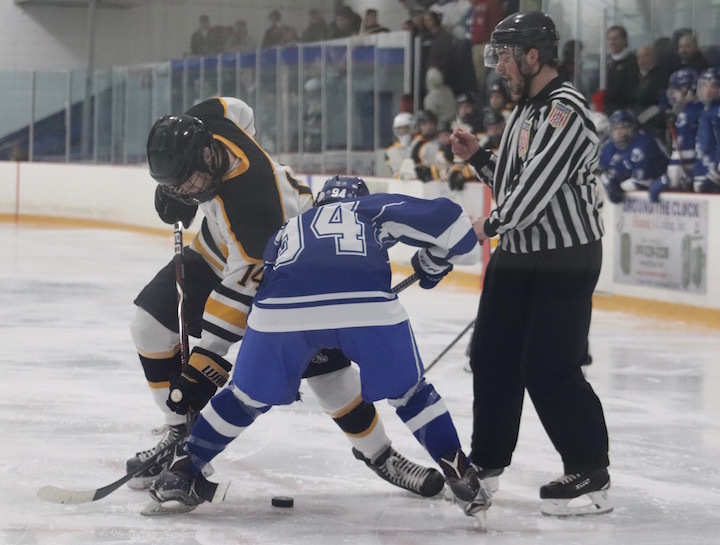 The Amity Spartans were on the road for their final regular season game against Fairfield Warde-Ludlowe at the Wonderland Of Ice Arena on Monday. Amity was first on the scoreboard just 3:15 into the game. Jeremy Conn scored, assisted by Jamie Blum and Brian Early. About three minutes later Fairfield answered with a goal and about two minutes later they scored again. At 4:14 Jason Czejka (back from an injury) tied the game on an assist from Conn. Then with only :42 remaining in the period, Jake Silliman scored on an assist from Blum. First Period Score 3-2 Amity. 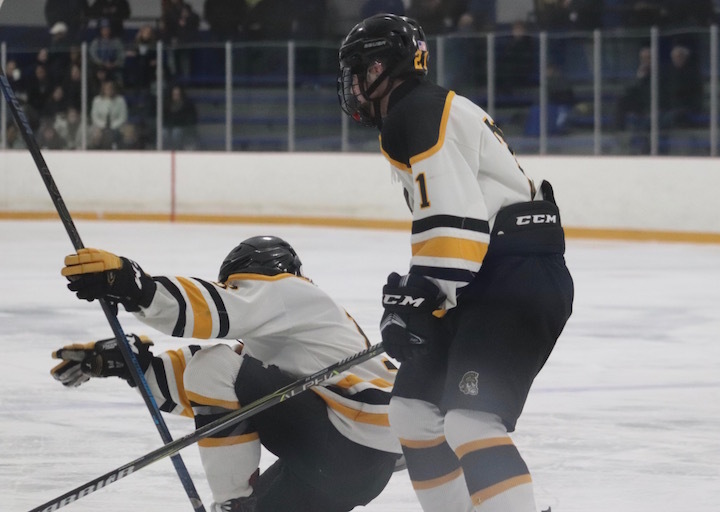 Fairfield returned to the ice with a renewed determination, In the first 30 seconds they scored and at 2:44 into the period, Czejka made an unassisted goal. and less than four minutes later, Blum scored on an assist from Jake Silliman. With Fairfield down by two points, both teams were playing fast and furious and with just 3:44 remaining in the period, Fairfield scored. Second period score 5-4 Amity. 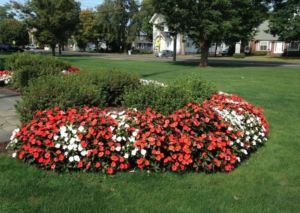 Not for lack of trying – the third period had no advancement for either team. And Amity skated away with a 5-4 victory. Next Up: Amity goes up against Guilford in the first round of the SCC tournament on Thursday, March 1.